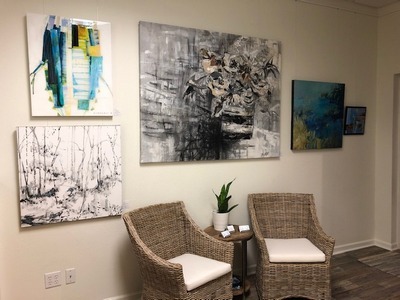 East End Gallery welcomes the New Year with a little help from its friends- interior designer friends who carefully selected new art for the exhibit “Fresh Start,” which opened Jan. 21 and runs through April 26 at the boutique art space located next to Shades Bar & Grill in Inlet Beach. “Wow!” was all that Simmons had to say when she saw the installed art for the first time this week. As she got her first in-person look at the collection, she said she was already thinking of clients’ spaces where favorite pieces would be a perfect fit. “This is a unique art space,” explained Drew. 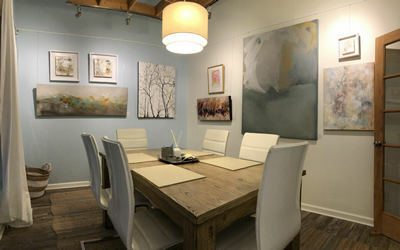 “Our artists are connected to the Emerald Coast, many of whom have vacationed here. They want their art to also be a part of this special place.” She said about half of the 27 artists showcased in this quarterly rotation are locals and the other half live in seven other states.